Available in a choice of sizes: 50mm x 3.6m; 75mm x 3.6m; 100m x 3.6m. 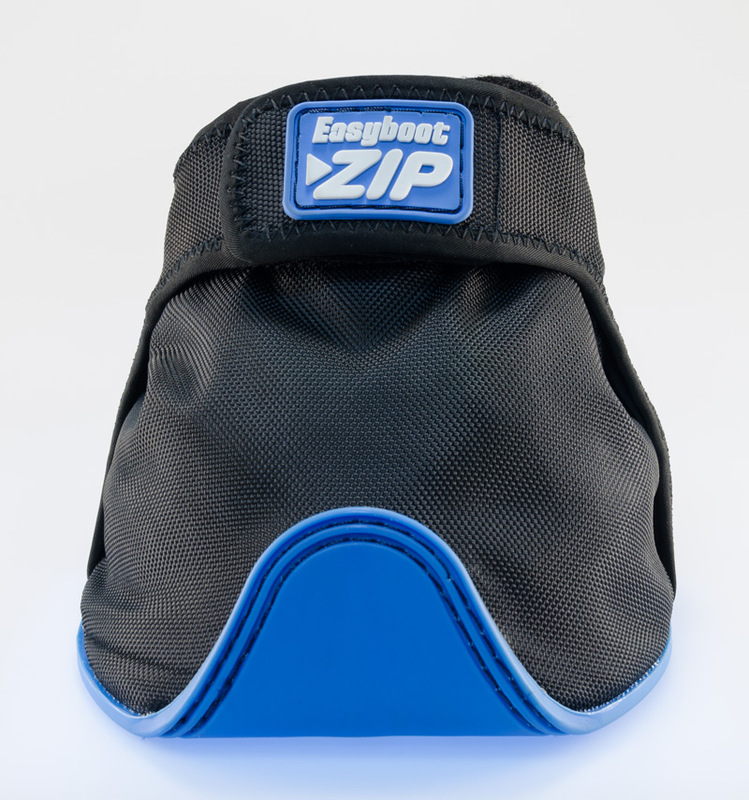 Equus Hoofcast is a versatile product which can be used by owners and professional alike. 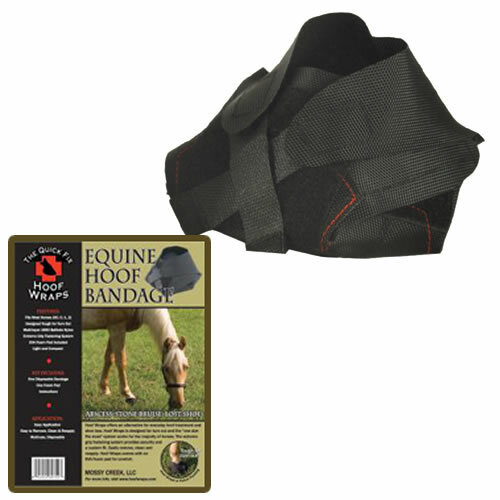 For the owner it can be used in an emergency, i.e.if a shoe is loose and could rip the hoof or even cut the horses leg. 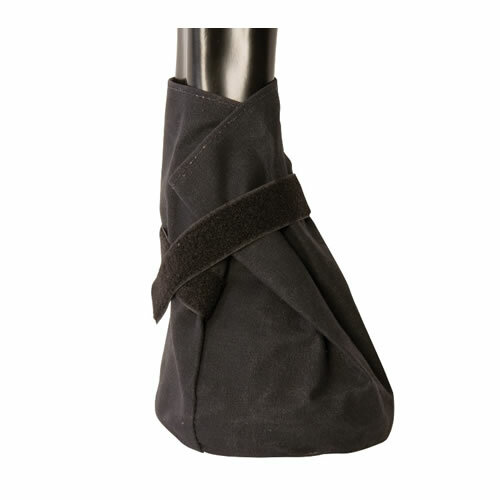 Hoofcast can be applied over the shoe to hold it in place until the farrier can attend. If the shoe is already lost, Hoofcast can be applied so that the horse or pony can still be used, i.e. if you have a show to go to and you have a lost shoe then apply Hoofcast and you can still go to the show! So it is a bit like a spare tyre! Also, many owners would like their horses to go barefoot. It can take some time for the horse to get used to being barefoot. Hoofcast can help with the transition. Hoofcast can be used with other products. 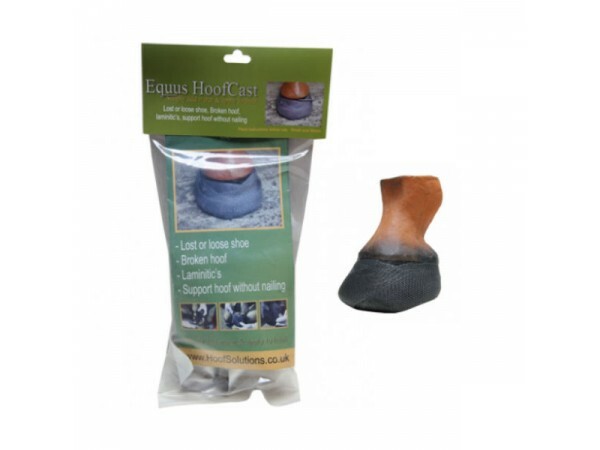 Hoof putty is a two part product when mixed cures to a rubbery supportive pad that will mould to the exact contours of the sole of the hoof, then wrapped with Hoofcast provides a protective, cushioning support which is ideal for laminitic’s, thin soled hooves and hooves recovering from abscesses etc.